Which 50% of your marketing works? I can’t tell you how many people I bump in to that use the line “we know half of our marketing works, we just don’t know which half!” It’s meant to be a joke but it’s really not funny. As a brand strategist I know the power of emotion to move people. Emotion though is hard to track…but it’s not impossible. 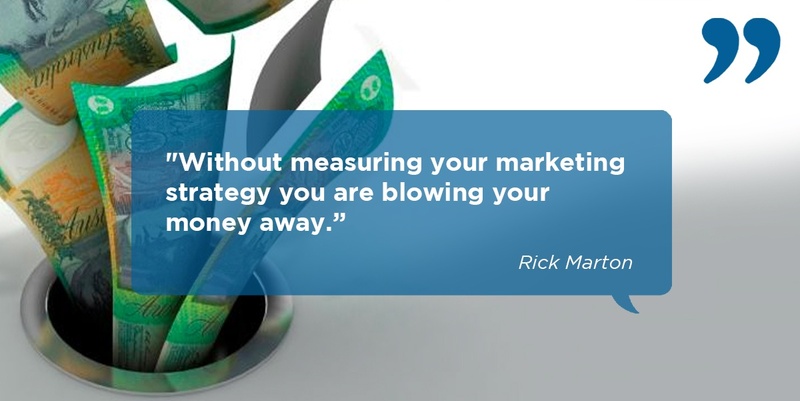 And it’s certainly not impossible to measure the effect of other marketing activities either. Now measuring marketing activities isn’t easy and I admit that, that’s why there are trained marketers that do what they do, but without measurement I can guarantee you’re throwing your money away. The most basic thing you can do is measure how many units of something you’re selling each day, week or month (dependent on how your business works). Then compare periods. If there are differences, ask yourself what’s changed in the market place and what marketing have you done differently. It seems really obvious, but it’s amazing how often this isn’t being done. And by a plan I mean knowing what the purpose of the campaign is, what effects you expect to see and how you’ll measure it. It could be as simple as asking your staff to ask customers how they heard about you or by including a drop-down option on your website ‘contact us’ form. If you know what the outcome is expected to be, that will give you a hint on how you’re going to measure it. Get creative. Do you have your Google Analytics account, and do you check the stats to see how many people visited your site on any given day or time? If you do, then grab a blank calendar and draw in the dates that you had specific marketing activity that promoted your website. Then look for correlation between what marketing activity you had on any particular day, and see if it correlates to any changes on your website. For one client we knew they had an average of 17 unique users per day on a particular product page but when they had a quality TV ad running that pointed to this product, it went up to 90 during the viewing period. We couldn’t be 100% sure it was the TV ad, but it happened again the same week. When the TVC stopped, it started to average out again. Of course this didn’t turn directly in to sales, but we know it had an effect in bringing people closer and then looked at how well the website was performing. One doesn’t simply put an advert in the paper and have it convert directly to a sale. It’s general marketing understanding that it takes at least seven touch points in order to move a person from being a lead to being a sale. This is one reason social media is such an important tool. Because of this, it can be helpful to measure other stages in building the relationship, not just the sale. For example, measure the cost of each person that likes your Facebook page, then measure the cost of getting them to eventually become a customer (there will be a few other stages in between). Experienced marketers will be measuring the cost of delivering each of the touchpoints in their control and working out which ones have the greatest effect. Not every day is a good day. Even on social media, you win some, you lose some. For all of our clients we track which posts people like the most and which ones they don’t. It allows us to get to know them better and deliver messages that add value to their lives. Yes we measure and analyse data from the emails we send out, including how many people clicked through to our blog. It’s not ‘big brother’, it’s us wanting to know what you value most without annoying you by ‘sending out a survey’. This allow us to provide you with content that’s valuable to you, our intended audience. These points are only a very basic starting point, but something is better than nothing! If you don’t try to measure then you could be (actually you definitely are) spending a lot of money that’s having no effect at all, and at worse could actually be turning customers away…but how would you know? Measurement also allows you to get to know what your customers want and care about the most. In a world that has as much competition in it as ours does, understanding what your target customer cares about is essential. Contact us to see how we can partner with you to help you build a brand people rave about.